In a large skillet, heat oil over medium-high heat. Season the chicken with salt and pepper and then dredge in flour. Add the chicken to the hot skillet, cook, turning once until browned on both sides about 4 minutes total. Add chicken stock and artichokes to the pan. Bring the liquid to a boil. Reduce heat, cover and simmer for 10 to 15 minutes or until chicken is almost cooked through. 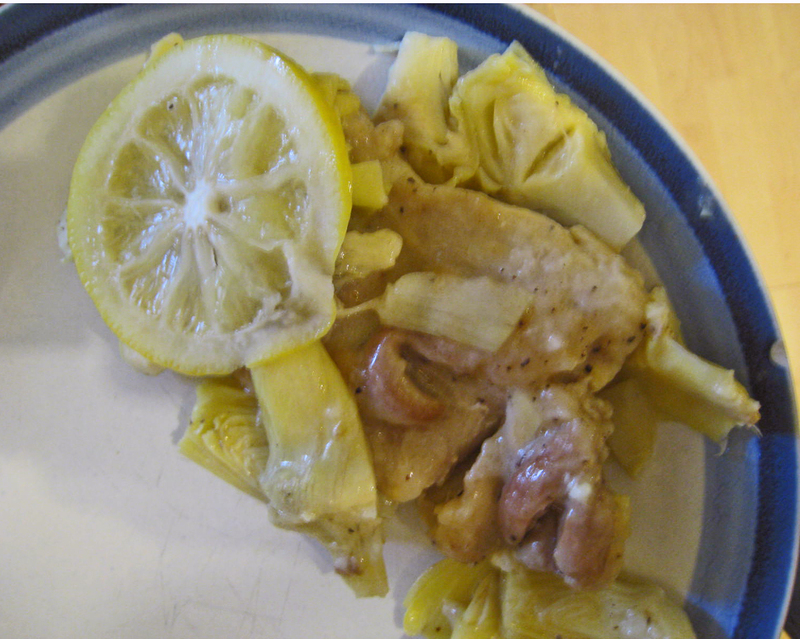 Scatter the lemon slices over the chicken, cover and cook until the chicken is cook through.